A businessman has to deal with unsold or discarded stuff that will not be of any use in the business. Manufacturers sometimes have to deal with scrap in the manufacturing process. ‘Scrap’ is the use of component materials beyond the defined “Bill of materials” because of trimmings, waste, leftover sections or the other variable consumption. QuickBooks has an indirect approach to deal with this. Several ways are there to deal with this, and some of these are more precise and accurate than other methods. You need to see what is more critical – tracking these costs for the business or the entire effort. The simplest way is to ignore the issue. You have to analyze what is going to cost more. It usually not advised to ignore these costs. However, in case it involves some very minimal expense then it is wise to ignore it. Taking the example of “Small washers,” if your company is using these small washers and these washers are costing a “penny” each, then it is better to ignore rather keep track of how many you drop. You can ignore tracking an item when it is an “inexpensive item that is already expensive” (it can be a non-inventory item), and the scrap amount is a minimal amount. Periodically counting the “items,” and making adjustments simultaneously is another simple way to handle scrap/waste material. For example. If you are using an ‘inventory part item,’ you need to be aware of how many you have used in a particular period. Keep a count of the used items and compare the count with QuickBooks records. In case you have less, then you can use an ‘Inventory quantity Adjustment’ to bring the quantity to a proper level. What is need an account where you can post this value such as an individual “scrap expense account” to receive the cost, especially for the “Count of items” with variations that happened due to waste or scrap. In the higher-level systems, there might be a scrap factor built into the “Bill of material”. In some cases, you can make a good guess for the “amount of scrap”. That you will generate with each assembly you build on. Now take an example – in this higher-level system. I should be using a “22 inches” of a particular item though it might take “24 inches” because of various reasons. So, from a statistical analysis. I know that approx. 15 % of the components will fail the Quality Check, and these will be useless. QuickBooks can handle this in the below-given ways. ‘Build it in’– Fill in the full amount along with the estimated scrap in the “Bill of Material.” Taking the above-given example. You can tell QuickBooks that you want to use 24 inches and not “22 inches” of that particular item. ‘Make a ‘Scrap item’– Create a ‘special item list’ for generic scrap to assign a different account to the “item”. Hinder yourself from using this option for the ‘Inventory part items’. Else it can create chaos and mess-up your ‘Quantity on hand.’ If you are using this for a ‘non-inventory’ item. You can post this to a separate scrap account and will reflect in the ‘Bill of Material’ as a separate scrap line. The values taken here for the ‘scrap’ are estimates that might be acceptable in some scenarios. You can join this with the ‘Physical inventory count method’. The method lets have good control and say on what should be ‘scrap’ on an ongoing basis instead of just evaluating it at the time of the physical count. Earlier methods were efficient to suffice the low-cost scrap values. However, if there are larger cost values involved it is advisable to track the scrap amount. Just performing a period check on the scrap numbers where the figures might be estimates, this is not a good method for ‘high & variable rate of scrap.’ For an excellent and better control& reporting of scrap, you will have to adjust each build. This procedure is a variation of the previous method; however, in this, we are going to shift the “Cost of scrap” to the “Cost of Assembly” instead of expensive it. You will benefit from moving the cost of your scrap to the value of the assembly, and this is the right thing to do for the expensive items and components. It is essential in business to evaluate every element and aspect. Dealing with scrap is equally essential whether it is of less or higher value. Hopefully, the article gave you ways and methods to deal with it and keep the books updated efficiently. 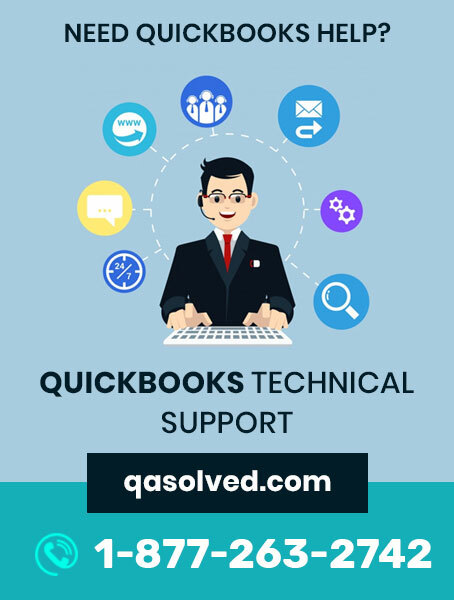 Though if you are confused on any of the aspects, you should speak to a technical expert at QuickBooks Desktop support Number 1-877-263-2742.